I think it's important to remember that God is sovereign and that His ways are so much higher than ours. Regardless of who wins or looses today, despite the terrible economic state, in spite of the rampant peril and devastation sweeping our land, God is still God. It IS going to all be ok! Yes, my thoughts exactly! So many Christians give in to the fear-mongering: that one outcome would be devastating to our nation. 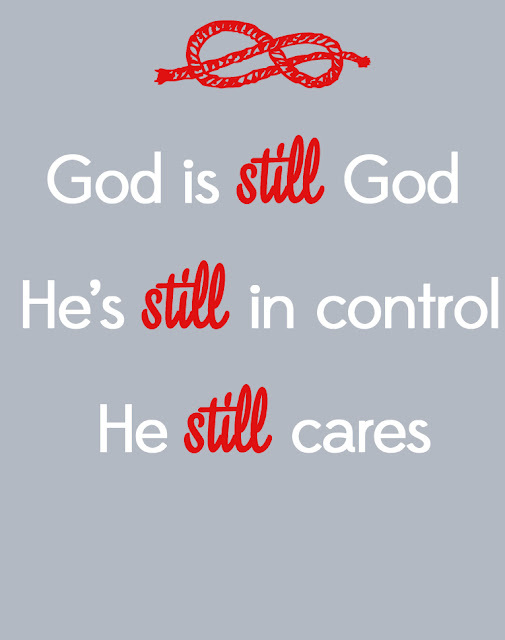 Nothing will happen outside of God's control. He ordains our leaders and our responsibility is to pray for them! I think as Christians we have this delicate balance to work through. We have to believe and speak the truth, but at the same time always respond in love. I'm working on it. And you're right. We do have to pray for our leaders. Hi! I am your newest follower and was hoping that you'd pop by my blog and follow me back. Preach is sister! What we need to remember when it all boils down! So true. I'm your newest follower from the GFC blog hop. Feel free to stop on by if you have a chance. God is our Ultimate Ruler. He IS the King!! He is in control of everything. :). Great post! I think despite your political party we can all agree on this. Anyways, newest follower from GFC Blog Hop! Hi there, new follower here, and I absolutely love this printable and, of course, the beautiful sentiment it shares. I'm in a place in my life right now where I'm feeling like I'm in a little bit of a rut (not quite done with school, working towards seminary and going into the ministry but not quite there yet, engaged but not yet married) and it's always so great to hear things that really speak to me: like this did! !